A friend is someone who understands your past, believes in your future, and accepts you just the way you are. Love and friendship are as timeless and valuable as the pieces defining the collection bearing these sentiments. 'Cariad' is a Welsh term of endearment. This slim oval Cariadandreg; bangle captures the message of love and friendship, and caring for someone in the most distinctive way. 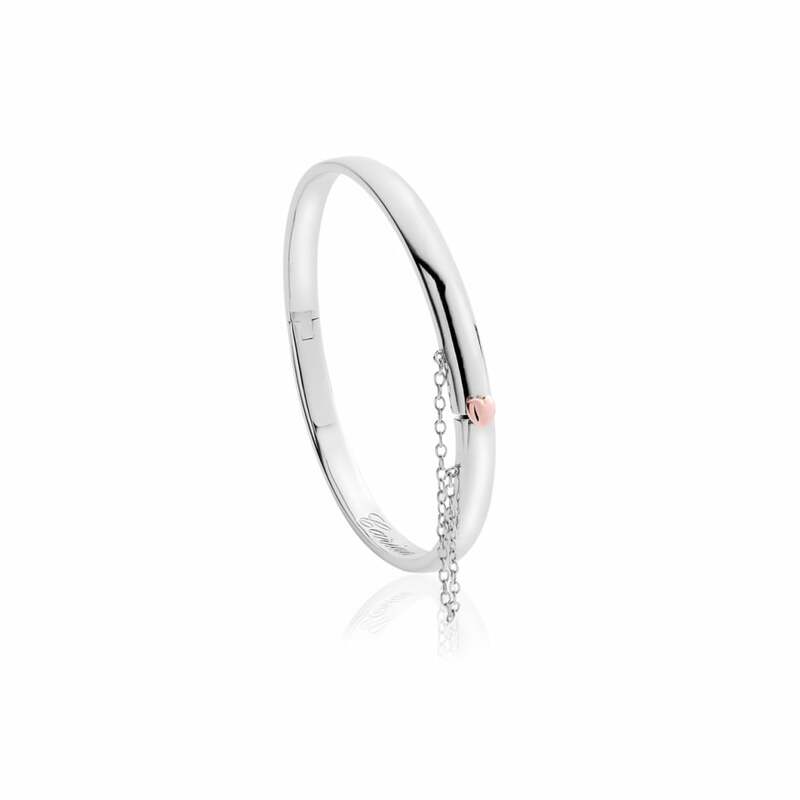 Beautifully handcrafted in sterling silver, the Cariadandreg; oval bangle features a charming 9ct rose gold fastening clasp and is inscribed with the Welsh word 'Cariad' and will perfectly compliment any outfit. The Cariadandreg; bangle has a 7"" (18cm) inside circumference and is 5mm wide. Containing rare Welsh gold, the gold of Royalty for over 100 years, the Cariadandreg; oval bangle has matching items available.